This afternoon I added the below image and caption to the Trombone History Timeline (19th century, 2nd half). Yet another image of an over-the-shoulder (or rear-facing) trombone. 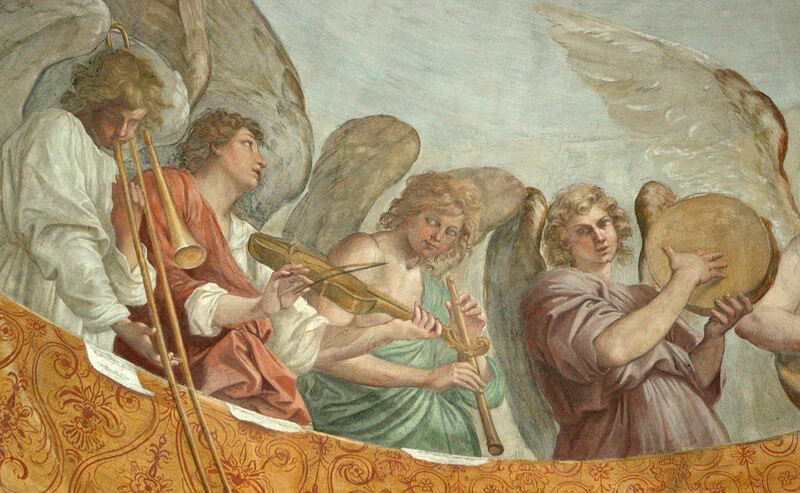 There is a steady stream of iconography showing these trombones from the late 1700s to the late 1800s. The majority of the images are from France and Belgium. 1869—Paris, France: A print by Alfred-Henri Darjou entitled The Entertainers Behind the Barracks appears in the French illustrated newspaper, L’Illustration. 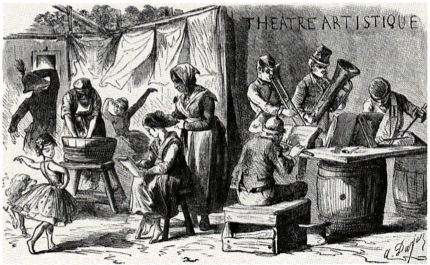 Four musicians–flute, rear-facing trombone, ophicleide, and drums–rehearse together at a makeshift table (see below image; public domain) (L’Illustration vol. LIV, July 24, 1869, p. 60).